Dexcent has been a proud partner of OSIsoft since 2007. The OSIsoft PI System is the leader in time-series historian data repositories and operational data management. It is the keystone in Dexcent’s device to dashboard process analytics framework. Dexcent clients use the OSIsoft PI System to collect, aggregate, and analyze data from operational control devices. The OSIsoft PI System is a highly scalable, enterprise level suite of software products used for the collection, historization, analysis, and visualization of operational time series data from process and asset intelligence. The PI System is unique in its ability to consistently, reliably, and accurately collect massive volumes of high fidelity data from any source and transform the data in the actionable knowledge that leads business transformation. 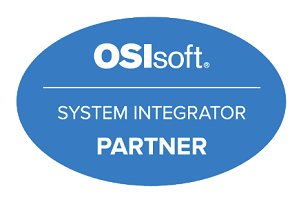 OSISsoft’s extensive collection of over four hundred device connectors, integrators, and interfaces allows the PI System to collect data from, and work with, Honeywell (including PHD), Emerson, Allen Bradley/Rockwell, ABB, Yokogawa, GE, SAP HANA, Esri® ArcGIS®, among many others.